Tide and Dad Star “The Princess Dress” | Hair Part Theory – Discover the Difference! ← Lincoln – right or left? 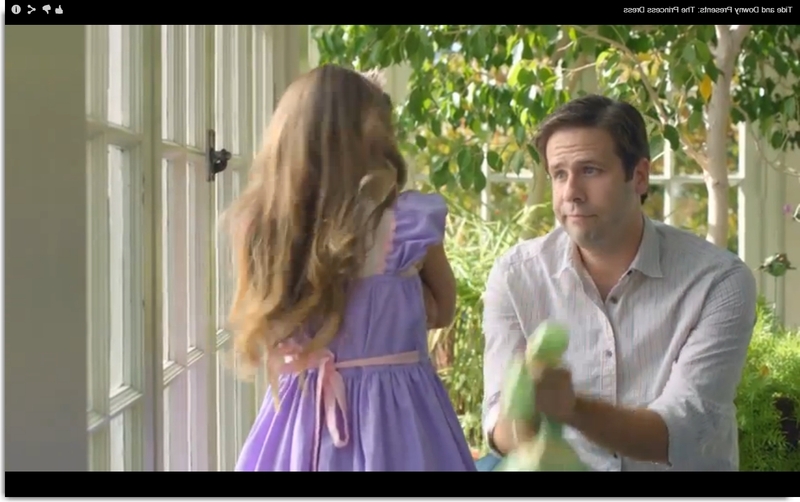 It’s a classic “new man” commercial, where the Dad is the one being the caretaker, nurturer and laundry do-er. So in the 30 seconds it takes to establish both the premise and message, they use a handsome right hair parting man to show an empathetic, kind, understanding (and domesticated) man. The right part makes it easy for the judgement to be quickly made by the viewer that it makes sense. Now, look how he looks flipped, with a left hair part…not so sensitive, wouldn’t you say? This entry was posted in commercials and tagged commercial, empathetic, first impression, right part. Bookmark the permalink.